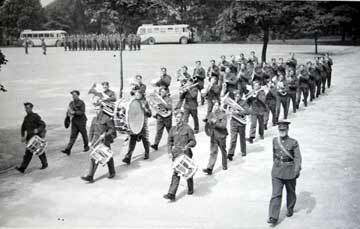 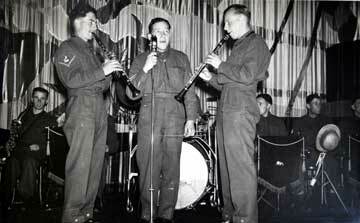 Band of the King's Own Royal Regiment, Bowerham Barracks, Lancaster, circa 1941. 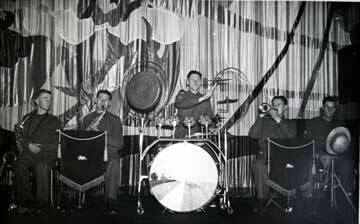 The band master is Basil Brown. 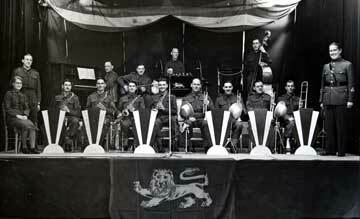 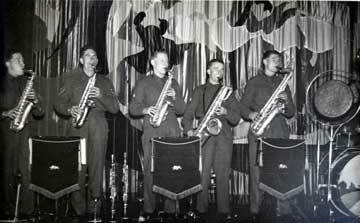 Bandmaster Basil Brown, who remained with the band throughout the Second World War. 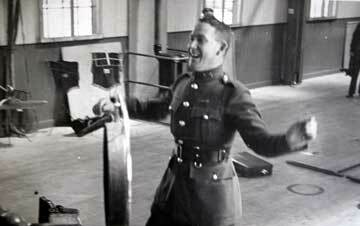 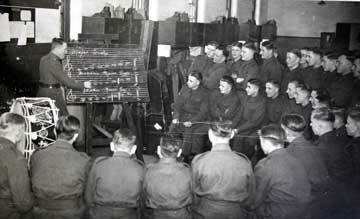 Bandmaster Brown instructing bandsmen, 1939. 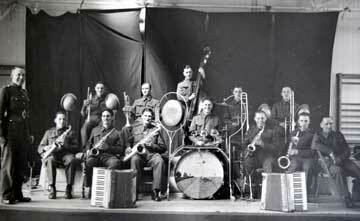 Depot Dance Band with Bandmaster Basil Brown on the right. 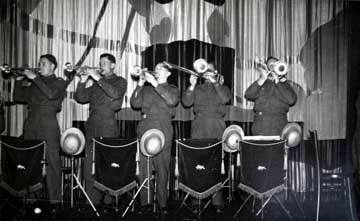 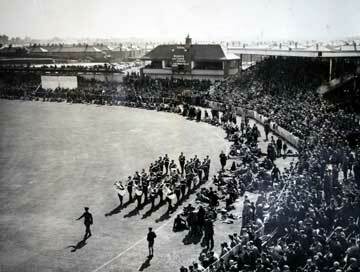 Band of the 2nd Battalion, King's Own, playing at Old Trafford, Manchester, during the second day of the Test Match against Australia, 21st August 1945.